Join us and International Yoga Teacher Veda Ela to experience a life changing week of Yoga Retreats. Are you ready to start the year off rejuvenated and stress free? Do you need an escape from the cold and dreariness? Is it time to make “me time” a priority? Then it’s time to book your transformational yoga retreat TODAY! 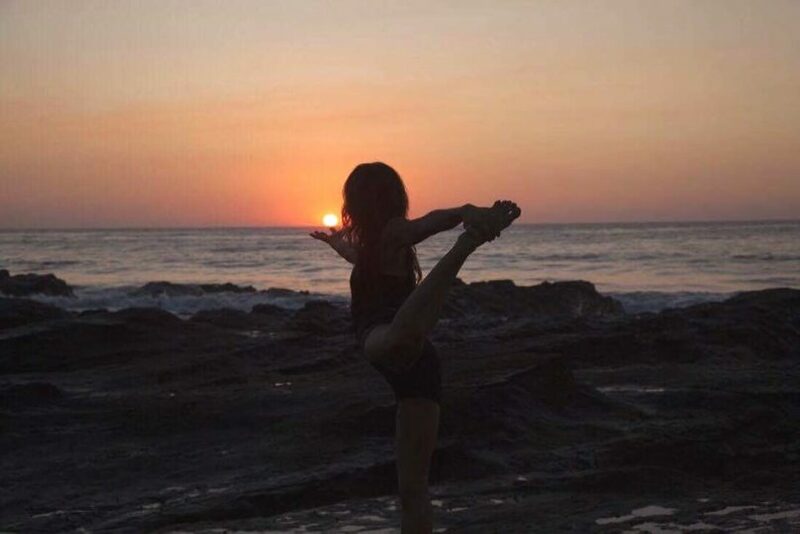 PACKAGES: We have a yoga retreat package for everyone so you can customize your retreat experience, and the cost of the package you choose is added to your BASE RATE. Our packages include Yoga & Adventure, Yoga & Rejuvenation, Yoga & Surfing, or Pure Yoga. For more information about these packages please visit Anamaya Retreat Packages (ARP). Or for those who are not totally into yoga, there’s no need to choose a yoga package at all – you can book all your activities and excursions A La Carte. We call it the Relaxation Retreat. WORKSHOPS: We’re excited to offer our guests 3 very special workshops this week. The first is called Creating Your Own Yoga Practice, the second is Meditation in Daily Life to Support You Connecting With Your Life Purpose, and the third is Honoring The Body. More details on these workshops is below. International Yoga Teacher and dancer Veda Ela is passionate about sharing her path of living a yogic life-style. 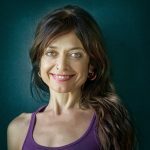 She has over 25 years of experience in supporting people to get in touch with their body, mind, and soul to find more clarity and joy in their lives. Veda trained in Classical Ballet, Contemporary Dance and various forms of Hatha Yoga. She also holds a degree in Philosophy and Literature. Decades ago while living in India, Veda fell in love with yoga under the guidance of yoga Master Indra Devi (from the Krishnamacharya tradition). She studied yoga in the Indian tradition and in Europe with renowned American teachers like Judith Lasater, Shiva Rea, John Friend, Rodney Yee and Sarah Powers amongst others. Using the tools of yoga practice, meditation, creative movement, dance, a healthy life style and tools from therapy, she guides people to get in touch with themselves, uncovering their dreams and mission in life to get them aligned and make their dreams come true! Veda Ela’s teaching has been continuously evolving, finally leading into the creation of her own style that merges the eastern and western traditions. She works according to the level of the students mainly with a gentle but powerful flow of asanas, yin & restorative yoga, breath awareness, meditation and self-enquiry, creating space to rest within moments of stillness and opening the door to silence. Veda loves music and considers it essential in her daily life. “Music can change your mood, heal and help transform your life”, she says. Music is an inspiring element in her yoga work. She brings passion, sincerity and presence into her classes, workshops and Yoga Teacher Trainings, imparting a sense of enthusiasm, curiosity and acceptance towards the yoga practice. Whether you are an experienced teacher or a beginner, you might face times in your life when your own yoga practice has been placed aside or you are postponing to build it. In this 2-hour workshop, simple tools and exercises are shared that will either help you to create your own practice, or refresh the one you already have. Ready to be inspired? Price is $40 (or package for all three workshops is $100). Have you tried to meditate, felt frustrated and maybe thought that it wasn’t for you? In this 2-hour workshop you will be pleasantly surprised to find out that meditation not only helps to stay focused, has healthy benefits, and relaxes…It also bring clarity about the life style you would like to have. Veda will share different meditation techniques so you can find your own. You will be given tools to incorporate meditation into your daily life, and allow it to guide your life purpose. Meditating can be fun! Price is $40 (or package for all three workshops is $100). Using elements of Yoga, meditation and mindfulness. Understanding the importance of eating clean, simple and healthy food. Bringing awareness to the cosmetics we use on the body and the cleaning habits in the environment we live. Looking at our self-esteem and the influence of every step we make. This 2-hour workshop is based on how can we be the change we want to see! Price is $40 (or package for all three workshops is $100).